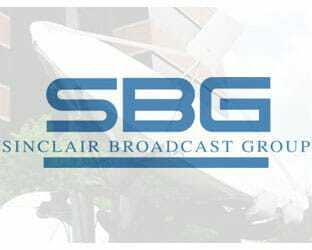 There are two new General Managers at TV stations in North Carolina owned by Sinclair Broadcast Group. In Greensboro-Winston Salem, a 13-year sales veteran is promoted to the role. In Greenville-New Bern-Jacksonville, the GM position goes to the person who most recently ran the Greensboro duo for Sinclair. variety of sales and management roles at Sinclair, working her way up from Account Executive to her most recent role as Director of Sales, which she has held since the start of 2016. “Given her management experience, we expect a smooth continuity in leadership and operations,” said Sinclair EVP/COO Steve Marks. Aldridge has also served as GM of WACH-TV in Columbia, S.C., at WTGS-TV in Savannah, Ga., and at Charleston, S.C., stations WTAT-TV and WMMP-TV. It is at those stations where Alridge began her tenure at Sinclair, as an AE. Aldridge takes duties formerly held by Matt Bowman. He’s now shifting to the smaller Greenville-New Bern DMA to serve as GM of Sinclair’s ABC affiliate, WCTI-TV. He’ll also responsible for the oversight of Sinclair’s provision of services to JSA partner WYDO-TV, the market’s FOX affiliate. Bowman had been WXLV and WMYV GM for nearly two years. Before that, he was Director of Sales for WCYB-TV and WEMT-TV in Johnson City-Bristol, Tenn.-Va. He first joined Sinclair in July 2011, as Director of Sales in Greensboro.